Jetstar Pacific has announced that flights from Vietnam to Japan's Osaka City will continue to be suspended until after September 20 as Kansai Airport is still under repair. Terminal 2 at Kansai Airport is still closed while a part of Terminal 1 has been repaired to serve a small number of flights. Jetstar Pacific will not open any flights to Osaka until the airport is repaired. There's no exact timetable yet as Japanese authorities are still repairing the terminals. Jebi was the strongest storm to hit Japan for 25 years. It landed in Japan on September 4 and caused severe damage. Kansai Airport, as well as the only bridge connecting the mainland with the airport, was also damaged after a truck crash. Traffic was paralysed after the accident. Both domestic and international flights of many airlines were affected. Japanese airline ANA Holdings cancelled 247 domestic and 8 international flights. 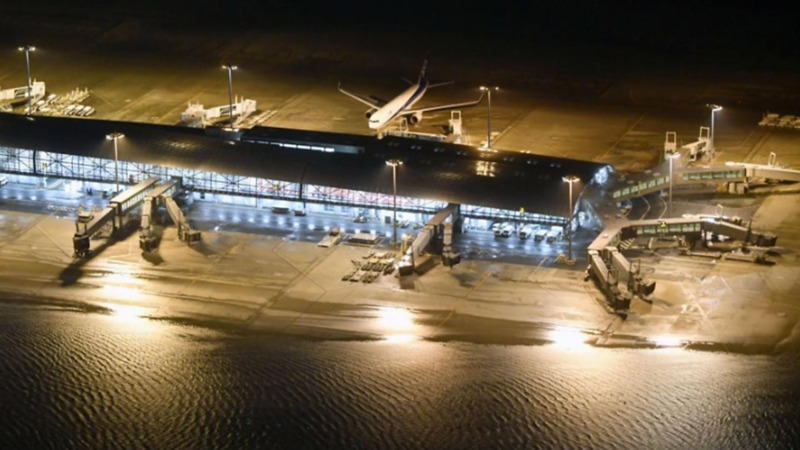 Japan Airlines cancelled 176 domestic flights. Jetstar Pacific cancelled 38 flights to Osaka from September 4 to 20. Vietnam Airlines also cancelled and delayed many flights to Osaka during this time.